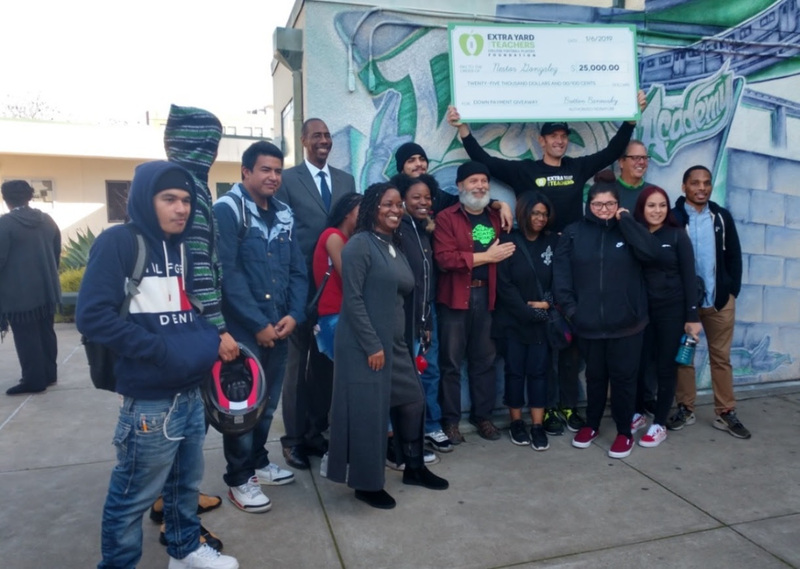 A longtime Oakland teacher who has never owned a home was recently surprised by $25,000 from the College Football Playoff Foundation to use as a down payment on a home. Dewey Academy physics and biology teacher Nestor Gonzalez learned Jan. 23 that he was a recipient of the foundation’s tradition of helping educators and students in the region that hosts the annual National College Football Championships. “Here in Oakland, you know how much it costs to buy a home,” Gonzalez said. “But it’s a boost, it’s a moral and spiritual boost to help me go forward,” he said. Gonzalez has taught in Oakland schools for 28 years but has never owned a home, he said in a news release. He had applied for the grant, but hadn’t heard anything so he assumed it had gone to someone else. Another surprise came when the foundation announced that $2,500 would also be awarded to the school, located at 1111 2nd Ave. near Lake Merritt in Oakland. The grants were announced during a lunchtime ceremony at Dewey, from foundation officials and representatives of Landed, a San Francisco-based company that makes homeownership more accessible for educators through down payment assistance and other services. Teachers don’t get the recognition they deserve, said foundation executive director Britton Banowsky. “Without a great teacher in the classroom, you’re not going to have great educational outcomes,” Banowsky said. The foundation also recently announced a $50,000 grant through the company School Specialty, to do a full makeover of Manzanita SEED’s and Manzanita Community School’s library. The National College Football Championships were held Jan. 7 at Levi’s Stadium in Santa Clara.